Wellington, July 26 NZPA - Prime Minister John Key does not expect to be told who leaked government information despite an extensive inquiry by State Services Commissioner Iain Rennie. Cabinet papers on the stocktake of minerals in conservation estate and on proposed state service restructures were made public before government announcements. Mr Rennie has been investigating the leaks. 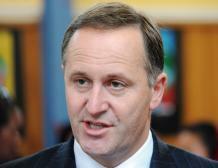 Today, Mr Key said Mr Rennie was close to making recommendations but did not know the source of the leaks. The investigation was difficult because of how widely cabinet documents were distributed while they were being put together, Mr Key said. The investigation had been very thorough -- including full interviews and reviewing phone logs and emails. "I'll be surprised if he passes me a name unfortunately. "If someone wants to give information to somebody else it's quite possible to do that." Government relied on having a neutral and independent public service and most people in the public sector operate without political bias, Mr Key said. "You have to acknowledge there might be one or two people that don't and if they chose not to then that information is quite easily distributed to others." Mr Key said he was reluctant to limit access to cabinet papers because it could reduce the quality of the advice the Government received. "If you want to give us any tips of where information comes from I'm all ears," Mr Key told journalists. In March, Forest and Bird spokesman Kevin Hackwell said the organisation had "learnt" the Government wanted mining to be allowed in West Coast's Paparoa National Park, Great Barrier Island and on the Coromandel Peninsula. The suggestion was eventually made public and the Government was forced to back down because of public opposition to the move. The second inquiry involved the "unauthorised disclosure" of information relating to a "machinery of government" Cabinet paper on proposed changes to the structure of the state sector. Unofficial reports said the Government was looking at rolling the National Library and Archives New Zealand into the Department of Internal Affairs, merging the Food Safety Authority with MAF, and amalgamating the Foundation for Science, Research and Technology with the ministry of the same name. Find the latest politics and election news, 'how to' guides and party policies on Guide2Politics.